Zombie Masters From Another World. The Game! Add your friend's details to the box below and a new account will be created for them with a free ticket to Zombie Masters From Another World. The Game!. Due to popular demand our craziest project is back again. Come play a B-movie horror flick adventure and street game after dark in which even your own teammates could be working for somebody else. Translate their language, uncover their hidden UV messages and find out what on earths going on! Non members tickets available here. Solve the clues, decode your findings and unravel the mystery in this Alien Game. You and your team will be based at C.R.E.T.I.N HQ where you will review evidence and clues and figure out which leads you wish to follow. Although some clues and encounters will involve sneaking around the local area with your UV torches - you will have a base to work from and return to whenever you wish. The game will last 2 hours followed by a drinks social. You can trust no one; even someone close to you could be one of them. Have they come to raise our own corpses to make a slave army with which to destroy humanity and conquer our world? Perhaps… we don’t really know… this is merely one of the theories being suggested by Project CRETIN (Covert Research: Extra-Terrestrial in Nature), a specialised branch of the British Secret Service set up to ascertain the true nature of the extra-terrestrial conspiracy that is secretly infiltrating our society. 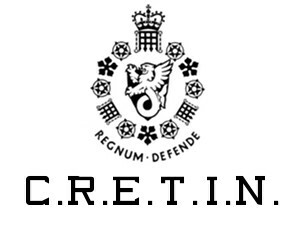 Join CRETIN in making the Earth a safer place… or possibly infiltrate CRETIN for your own purposes. After all, you can trust no one: perhaps not even yourself. This is a fun game involving a bit of detective work and figuring out who is the bad guy in all of this. Thinking bob is all about meeting people so don't worry about coming alone. You'll be placed into a team when you get there! Non – members and guests can join us for this one – so spread the word and invite London in! Solve the clues, decode your findings and unravel the mystery in this Alien Street Game. Includes a free ticket to the Halloween Experiment after party. Event takes place Nov 2nd, from 5pm to 8pm. Thinking bob is all about meeting people so if you’re not yet a member and want to join us for this, don’t worry about coming alone. You’ll be placed into a team when you get there! The venue for the after party is the very cool Blueberry – which is being transformed into Dr. A.B Normal’s lab for the night. Situated conveniently between Shoreditch and the City, Blueberry fuses cool with chic, revolutionising the bar experience in East London. Don’t expect a plain old average cocktail here; there’s a Blueberry twist on all the classics. Their in-house mixologists have created a menu of irresistible concoctions. This isn’t compulsory but it is Halloween and if you can’t dress up then, when can you? 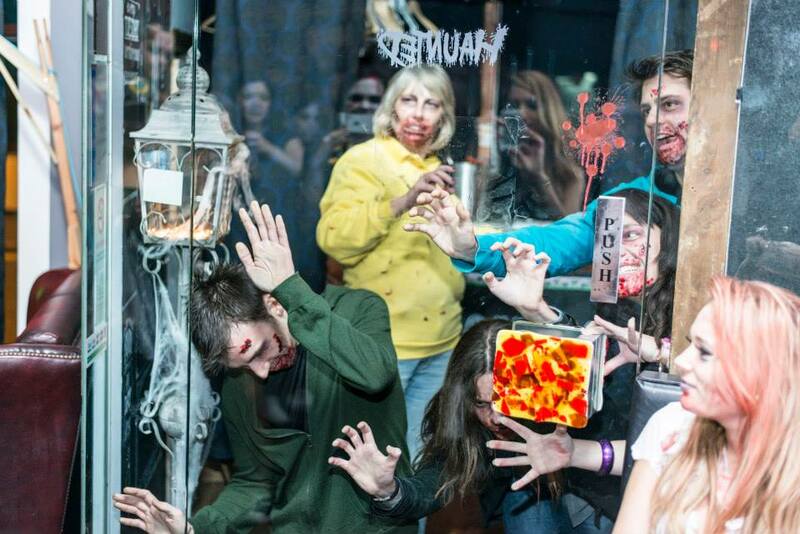 You can come along as whatever you like – you don’t have to be a Zombie or an Alien. We’ll have a costume makeup artist on hand if you need her and you can always keep your outfit or accessories in the clock room until you’ve had a few drinks at the after party. Hold on, what was that noise?